Cox's Bazar: Rika Dhar watched as her husband, two brothers and countless neighbours were brutally hacked to death with machetes by masked men who stormed their Hindu village in western Myanmar and frogmarched the terrified inhabitants to the hills. "After the killing, they dug three large pits and threw them inside. 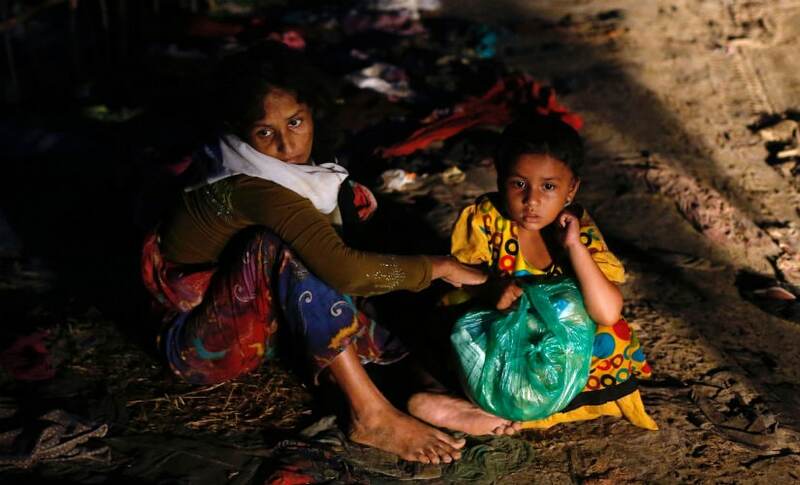 Their hands were still tied behind them and their eyes blindfolded," said 25-year-old Dhar in a Hindu camp inside Bangladesh where she fled with her two children. 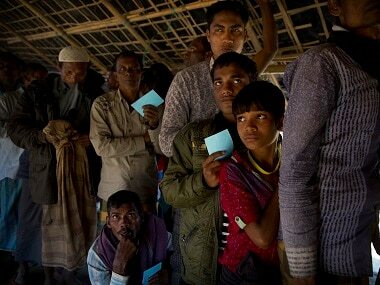 The army says the grim discoveries are evidence of a massacre by Muslim Rohingya militants on 25 August, the same day the insurgents launched coordinated raids on police posts that unleashed a surge of communal bloodshed. On Wednesday the army lifted its tight net over the conflict zone to fly reporters to the area in northern Rakhine where the mass graves of Hindus, including many women and children, were exhumed earlier this week. It is the first time the military has organised a press trip to the area, where media restrictions have made it difficult to verify a whirlwind of accusations over who is driving the violence. Witnesses from Kha Maung Seik, known locally as Fwaira Bazar, said black-clad attackers stormed their community on the morning of 25 August, beating and binding the men before driving everyone into the forest. She said more than 100 people were killed — including her husband and three other family members. The corpses were unceremoniously dumped in freshly-dug pits, Sheel added. The latest convulsion of violence has deepened already bitter hatreds between various ethnic groups in Rakhine, where tensions have simmered for years. The women who survived the massacre did not identify the masked attackers as Muslim militants, but said they were targeted because they were Hindus. Rohingya sympathetic to the militant cause reject allegations that their fighters were responsible for massacring civilians. the non-Muslims a hard time without any valid reason. They are lying to make us look like the bad guys." 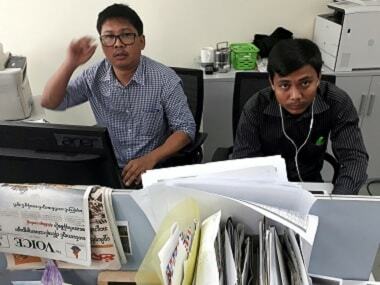 But that brings little solace to Modhuram Pal, a Hindu who has not heard from anyone in Kha Maung Seik since escaping with his family to Bangladesh weeks ago. "I don't know the whereabouts of my relatives and friends in Fwaira Bazar," the 35-year-old told AFP, using the Rohingya name for the village area. "I heard about the bodies found in the village. God forbid, maybe some of my relatives are in there too."